Looking for a company with more than 50 years of experience in lubrication system design, manufacture and testing? 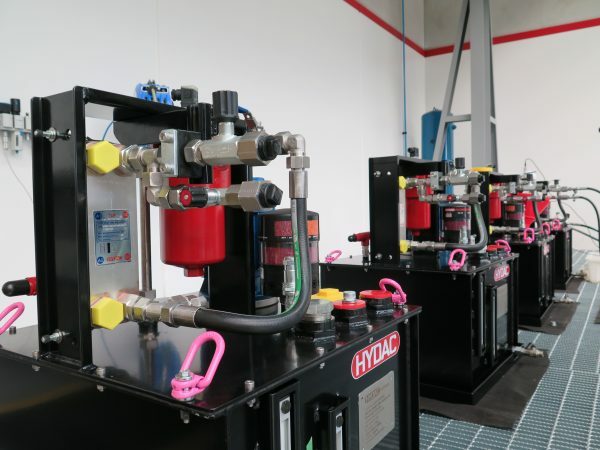 The HYDAC lubrication system range is in accordance with customers own requirements and the international standards as API 614. We can supply lube oil systems for a wide range of applications, ranging from offshore industrial systems servicing steam turbine generators through to all stainless steel and duplex systems serving gas compressor/sweater injection pumps, operating in the harsh conditions found offshore. HYDAC is one of the few companies in the field that has the ISO/TS 29001 certification. It is an extension of the internationally recognised ISO 9001 quality management systems standard. It exists as a direct result of a partnership between ISO and the international oil and gas industry. Therefore, the ISO/TS 29001 defines the quality management system for product and service supply organisations for the petroleum, petrochemical and natural gas industries. What’s more, this certification by SAI Global verifies our commitment to quality and ensures standardisation and improvement within the Oil & Gas sector. Design, build, install and commission of lube systems locally in Australia. Our engineering capability will run from conceptual design and layout through to installation and commissioning of the system. In-house electrical/electronic design where we have the capability to customise the solution for you. Customised HMI interfaces allow for easy operation and fault finding on the lubrication system. Where safety is critical, our designs and component selection encompass latest SIL (Safety Integrated Level) aspects. MRO capability in which we maintain and look after all aspects of your lubrication system, from regular inspections through to repair and spares needed for effective operation of the system. Finally, the HYDAC product range extends also into a perfect partnership with us. We are the primary manufacturer of coolers, filters, pumps, and instrumentation on the lubrication system. This means that you source all spares from one company at competitive prices and you receive back up from a primary manufacturer. HYDAC is a name synonymous with lubrication systems. Our experience in this field is your advantage. Numerous installs, both worldwide and in Australia, makes us your number 1 choice.